BY KEVIN SAWYER – Police in Greenville, South Carolina are increasing their patrols in a wooded area behind an apartment building complex as several reports of clowns hiding in the nearby woods have been trying to trap and ensnare local children by convincing them to come into the woods with them. The clowns, reportedly, are showing large amounts of cash to the children to get them to enter into the woods. Some children have told the police that they think that the clowns are hiding out in an old house in the woods that sits on a pond and can be reached through a walking trail. Police were initially alerted to the situation when someone called in a report that someone was taking photos of children in the neighborhood. This was followed up by several reported sightings of clowns entering and leaving the nearby woods. 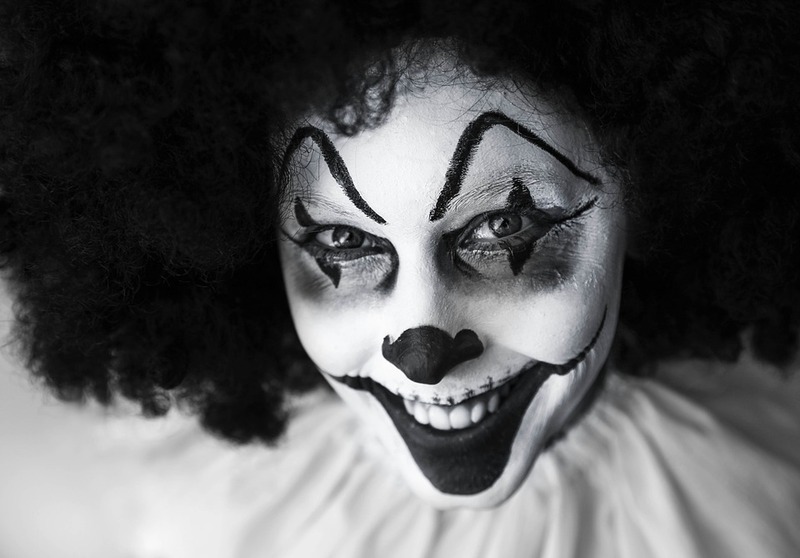 A woman made a report to police that she saw some clowns in the woods and they were flashing a green light on and off and another child reported that he had heard banging and the sounds of rattling chains at the door to their apartment. Others have seen clowns hanging out at nearby dumpsters. One woman told police that she had been walking home and saw a creepy looking clown standing under a street light by a dumpster and that his nose had been blinking. Children have reported these clowns making strange sounds and whispering to them from the woods. Another apartment complex, twenty minutes down the road, has also started to phone in sightings of clowns to their local police. There has also been a few reports that citizens have armed themselves and shot at the clowns. Children have reported that the clowns are armed with knives and chains and are holding out large wads of cash at them telling them they have some candy for them and that they should come into the woods with them. A police officer has yet to make a report of a clown sighting.